Cheri A. Lewis founded Lewis Law Offices, PLC, in 2006. 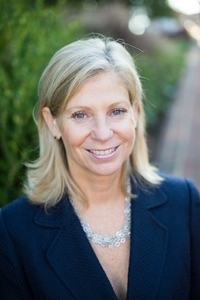 Prior to opening Lewis Law Offices, Cheri Lewis founded and managed The Closing Company, Central Virginia’s first and largest real estate settlement and title insurance company. She expanded the Company to four locations, serving 15 counties and cities before eventually selling it in 2004 to LandAmerica, a Fortune 500 company. Before founding The Closing Company in 1994, Ms. Lewis practiced law in both Charlottesville and in Washington, D.C., specializing in real estate, community association and commercial matters. A member of the Charlottesville-Albemarle Bar Association and the Virginia State Bar, Ms. Lewis received her B.A. degree in American Government from the University of Virginia and her law degree from the Marshall-Wythe School of Law at the College of William & Mary.